Dreamer, Jezzawhat, Magpie, and Nettle, eds., Earth First! 29, no. 6 (1 September 2009). Republished by the Environment & Society Portal, Multimedia Library. http://www.environmentandsociety.org/node/7257. 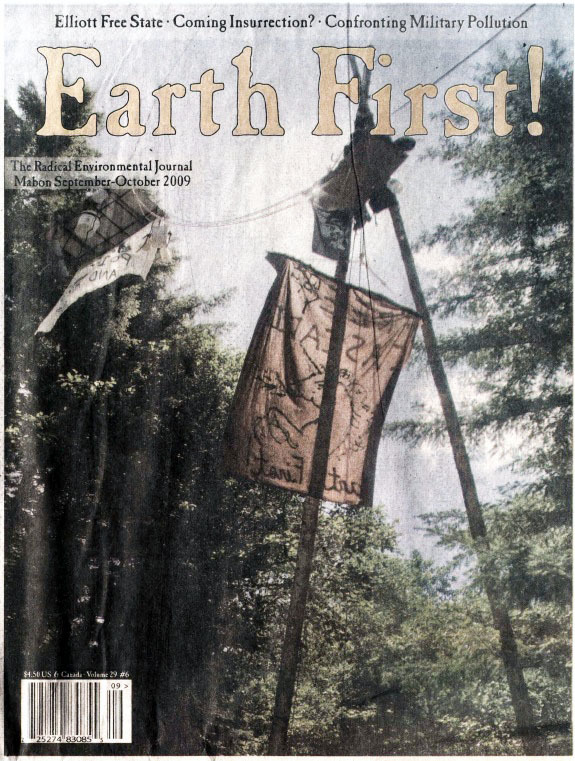 While I’m excited to be a part of Earth First! at a time when the movement as a whole seems to be making a concerted effort to break with a past littered with xenophobia, racism, and other oppressive elements, it’s still frustrating to see expressions of white-dominated culture manifest themselves in other ways, unchallenged and invisible to those who benefit from this social arrangement.